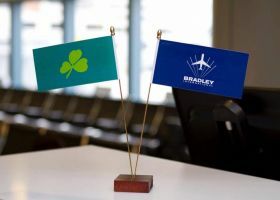 Bradley Airport (represented by Michael Collins of TTR), Aer Lingus and Connecticut Tourism hosted six Irish media on a press trip to Bradley International Airport and Connecticut October 3rd through 6th. The media participating were The Irish Times, Sunday Independent, Sunday World, travel blogger and influencer Where is Tara? Several of whom have written wonderful press releases on the trip so far.